It's hard to fault Microsoft for the show that they put on yesterday. The Xbox press conference ticked all the right boxes, including a new Halo and a new Gears, and made some solid third-party reveals. But it was FromSoftware who, as usual, wound up stealing the show. FromSoftware's Sekiro: Shadows Die Twice, basically a samurai-themed Dark Souls, debuted with a pitch-perfect trailer. It was cool, it was stylish, and it immediately rocketed to the top of a lot of Best of E3 lists. Sucker Punch, who are making the upcoming open world samurai game Ghost of Tsushima, had to have smacked their forehead in disbelief when they saw that trailer. It's a mark of FromSoftware's meteoric rise that it was able to stride out to a major press conference and dominate the news after the show. Back in 2008, FromSoftware was a niche studio that was mostly known for making janky mech games. When Demon's Souls came around in 2009, many simply dismissed it out of hand. But you know, when you make three of the most acclaimed action games of the past decade (four, if you count Dark Souls 2), people have to sit up and take notice. And now here we are. Through sheer quality, FromSoftware has become one of the three or four most important third-party developers in gaming today. As for Xbox, Microsoft did what it had to do. It showed a whole lot of games, announced the acquisition of a handful of studios including Ninja Theory, and instilled some confidence that the Xbox One is worth owning. Shadows Die Twice was part of that. But when I think about that conference, the main game that will stick out will be FromSoftware's new samurai game, and that still kind of blows my mind. Even Cyberpunk 2077 didn't hit me quite as hard as I was expecting. In any case, it's my early contender for Game of the Show. Here are the games that are getting crammed into the February 2019 release window: Metro Exodus, Crackdown 3, and Days Gone. Oh, and there's a little game called Anthem coming out too. And have you heard of Kingdom Hearts 3, which will be out in late January? It seems that in the mad rush to avoid the Red Dead Redemption 2 buzzsaw, everyone accidentally crammed themselved into the same release window. January and February are the new March. I don't expect everything to stick. Crackdown 3 in particular seems like a candidate for another delay in light of its reported development difficulties. Plus publishers have to be casting a nervous eye toward Anthem, which may not be that amazing in the long run, but will almost certainly dominate the news in one form or another when it's released. Regardless, the period running from October to early March is gonna be a busy one. Hope your credit card is ready. Today's Square Enix stream offered some reason to be excited. With Kingdom Hearts 3 set to be released early next year, and Final Fantasy VII Remake and Avengers still lurking, fans were hoping for any little tidbit of information. Unfortunately, none were forthcoming. Actually, Square Enix's stream was underwhelming all around. The best thing by far to come out of it was the announcement of a new Platinum game called Babylon's Fall. The rest of the stream was dominated by relatively known quantities like Dragon Quest 11 and Shadow of the Tomb Raider. Even Kingdom Hearts 3 had the same tralier that was shown at Microsoft. Maybe Square Enix will have more to show during tonight's Sony press conference. But at a minimum, it strikes me as a missed opportunity to at least build up some excitement for Kingdom Hearts 3. It was a strange show all around. Thankfully, there's still plenty more to look forward to today. Ubisoft will be kicking off in a couple hours, Sony is tonight, and there's a new Nintendo Direct tomorrow. This party is just getting started. The Electronic Entertainment Expo has yet to actually begin, but the show has basically already started, with press conferences showing off a few of the games coming in the next few months and beyond. Wait, folks decided to release their games during E3 2018? What? Jurassic World Evolution [June 12]: If you've ever thought you would do better than Hammond at building a whole new Jurassic Park or world, then now is your chance to try your luck. Frontier Developments, the folks behind Planet Coaster, built this title. Will their expertise carry over? Super Bomberman R (PC, Xbox One, PS4) [June 12]: The Switch launch title is coming to other platforms this week. Hot Bomberman action and brand-new Bombers round out the package for the whole family. 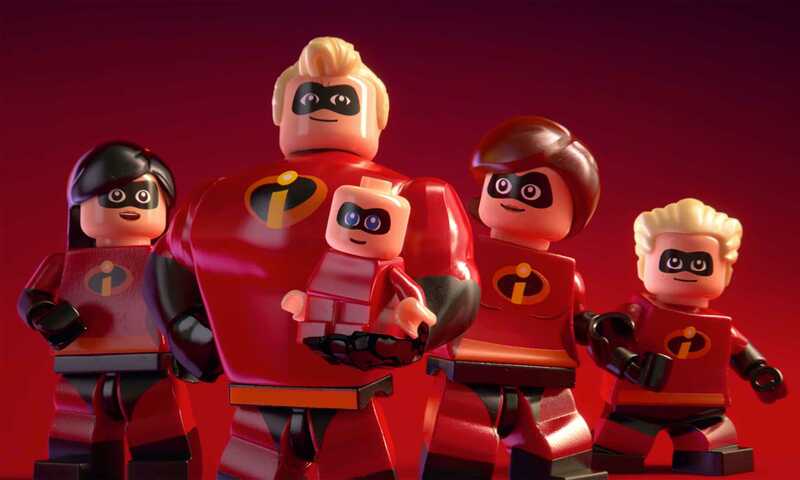 LEGO The Incredibles [June 15]: The latest Lego title carries forward the series' signature gameplay, this time featuring the super-powered family that everyone loves. Enjoy Lego versions of the Parr family in this adventure. We're all busy covering E3 right now, so no capsules I'm afraid. But please accept this picture of Matt and Mike ahead of the Microsoft press conference. They look so fresh-faced and excited before the storm, don't they? Bethesda surprised everyone last night when it teased the long-rumored Starfield and Elder Scrolls VI at the end of its press conference. We obviously don't have release dates for either game, but at least Bethesda confirmed they're real, right? Between Kait in Gears 5, the two sisters in Wolfenstein: Youngblood, and Battlefield 5's Norwegian resistance operative, female protagonists are already dominating this year's show. After so many years of publishers being unwilling to even put a woman on the cover of a game, it's a bracing change. FromSoftware's new title has a name and a trailer, and it's called Sekiro: Shadows Die Twice. You play a nameless ninja in what looks to be an ancient Japanese setting. Also, you can die and come back? I'm sure we'll have more on the game very soon. We finally got a look at CD Projekt Red's follow-up to The Witcher 3: Wild Hunt. While there's no gameplay in the Cyberpunk 2077 trailer, there's loads of tiny details that are stirring up excitment, including explicit nods to the tabletop game it's adapted from. Caty wrote about what she loved (and didn't love) about the trailer. BioWare is almost ready to release its next game, with Anthem finally getting a release date: February 22, 2019. Guess Destiny 2 has a few months to get its house in order before the new guy kicks down the door. Microsoft confirmed that it's not leaving behind console gaming anytime soon. Onstage at the Xbox press event, Xbox boss Phil Spencer confirmed that there is a new home console in development. Reports that followed have the console's codename as Scarlet, so next-gen speculation is about to run into high gear. 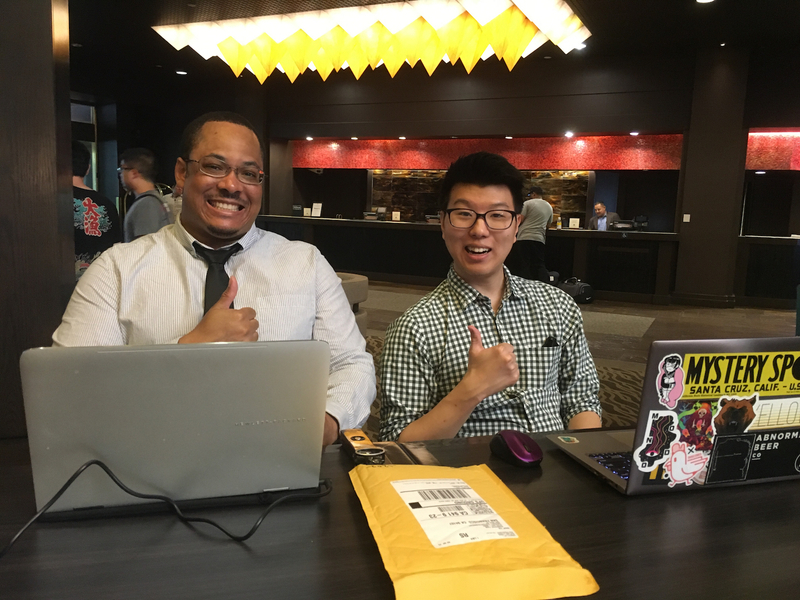 If you haven't had your eyes glued to your computer screens all weekend, we have some handy dandy recaps of all the big conferences for you. Kat recapped Microsoft, while Caty handled EA Play and Bethesda. In case you missed it, we have a lot of sports game coverage for you. Here are our in-depth looks at Madden 19 and FIFA 19. Axe of the Blood God: Kat and Nadia will have an Axe of the Blood God going up later today, with the pair reacting to some of the early E3 2018 announcements! Tagged with E3 2018,	Feature,	Starting Screen.